Around 400 boats will be on the Cowes start line on Sunday 6th August for this year’s Rolex Fastnet Race – the largest ever entry in the 92 year history of the Royal Ocean Racing Club’s biennial ‘classic 600 miler’. 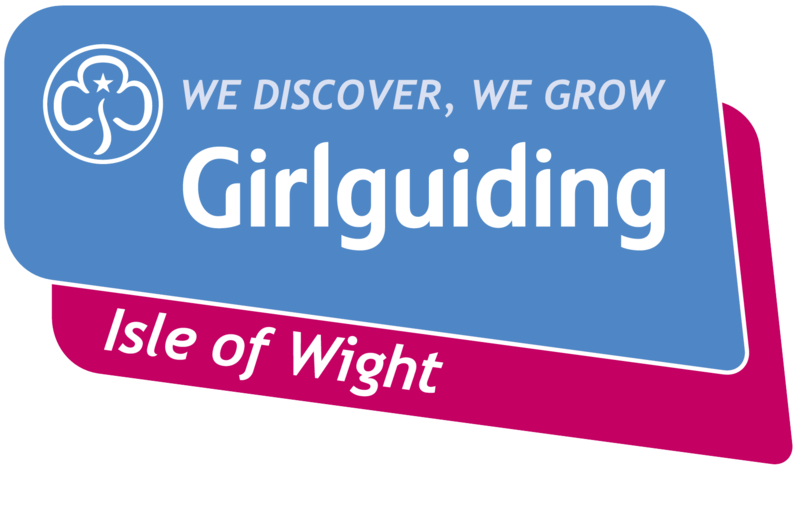 Several Island residents and boats registered with Island sailing or yacht clubs will be taking part in the race so we are mentioning some, together with other notable entries including the entry of Ludde Ingvall who we have met several times in the past especially when he was in Cowes with his boat Nicorette. Several youth teams are competing. Run by James Oxenham and co-skippered by Owen Kinsella and Harry Bradley, Code Zero Racing is a Cowes-based campaign, focussing on both inshore and offshore racing. Crew range in age from 17-22, making it the youngest crew in this year’s Rolex Fastnet Race. Code Zero Racing will be racing Geoff West’s Reflex 38, Lightning Reflex, on which they have also entered in several other RORC offshores as qualifiers. With James Tomlinson (son of Rick Tomlinson well known Cowes based photographer) among the crew, expect some top images to be beamed back from on board. Another youth team heralds from the Greig City Academy in Hornsey, East London. With the remit of getting inner city school students afloat, it is the brainchild of Head of Sixth Form, Jon Holt and the crew sail on the Frers 45 Scaramouche, once part of the 1983 US Admiral’s Cup team. The campaign has attracted the attention of HRH The Duke of Edinburgh and notables such as Lawrie Smith, who has assisted with coaching. In 2016 we met the then crew of Scaramouche when they took part in the Round The Island Race. Finnish Whitbread Round the World Race legend Ludde Ingvall returns having previously put in one of the most exceptional performances in the history of the Rolex Fastnet Race. Firstly in 1985 Ludde raced on the Whitbread maxi Atlantic Privateer when it won her class, but the race which has gone down in history was a decade later, when he skippered Nicorette, the former 1989-90 Whitbread Round the World Race maxi Charles Jourdan, to line honours, finishing a massive 24 hours ahead of the next boat. Significantly that year Nicorette not only claimed line honours but victory on handicap as well. “We won it on CHS, we won it on IMS and we got line honours,” Ludde recalled proudly. “We walked away with 16 trophies, which was amazing. I still remember the speech at the prize giving where they said, ‘….the Vikings have been here before and now they have come back to steal our silver! '” That race, 22 years ago, was the last occasion when someone won the Rolex Fastnet Race line honours and handicap ‘double’. Now Sydney-based, Ludde is back with CQS which was originally built in 2004 as the 90ft canting keel boat named as another Nicorette. Ludde claimed line honours in that year’s Rolex Sydney- Hobart on board her. During 2016, this boat underwent major surgery extending her to 100ft by fitting a new bow and a number of other new features. The crew includes sponsor Sir Michael Hintze and Kiwi sailing legends Chris Dickson and Rodney Keenan. CQS will face stiff competition from American George David’s Rambler 88 which has had a long career racing Jim Clark’s 100ft Comanche. In the 2015 Rolex Fastnet Race, Rambler 88 crossed the finish line just four and a half minutes behind Comanche. 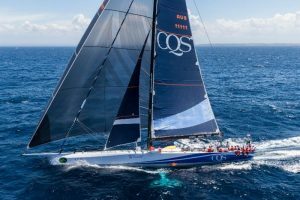 Other ‘big boats’ to look out for are the one design VO65s as the Rolex Fastnet Race serves as Leg Zero of the Volvo Ocean Race for them. Three teams competed in the 2014-15 Volvo Ocean Race- Team Brunel; the Chinese Dongfeng Race Team and the Spanish MAPFRE team. Turn the Tide on Plastic will be skippered by Dee Caffari who is a big fan of the Rolex Fastnet. She was on Team SCA two years ago whilst former Team SCA skipper Sam Davies has returned to the IMOCA 60 class. She has taken over the Initiatives Coeur campaign from Tanguy de Lamotte but the two are sailing together for the rest of 2017. 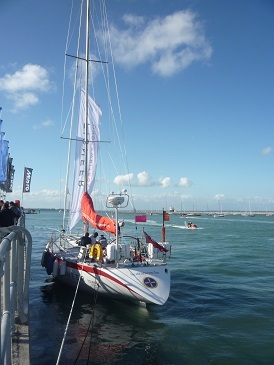 As with the other eight IMOCA 60s competing, they are racing doublehanded. They will be up against boats which finished first and second in the Vendée Globe: Bureau Vallée 2 (ex-Banque Populaire) campaigned by Louis Burton and Servane Escoffier, and Alex Thomson and Irish sailor Nicholas O’Leary on Hugo Boss. The 2003 race was the first occasion Thomson sailed under the colours of Hugo Boss, preluding a 14 year sponsorship deal.